It’s a big week for new Blu-ray releases with so many to choose from. So how about a few suggestions? First off, the movie Wonder is a great film for the family that’s now available on both Blu-ray and 4k Blu-ray in combo editions that include 2 discs, bonus content, and a digital copy. The Oscar-nominated movie stars Jacob Tremblay, Izabela Vidovic, Julia Roberts, and Owen Wilson. Criterion Collection has a couple new titles that are a must for every home theater collection. Night of the Living Dead (1968) from director George A. Romero has been newly printed on Blu-ray from a 4k digital restoration. And, 5-time Oscar-winner The Silence of the Lambs starring Jodie Foster and Anthony Hopkins has also been reprinted from a new 4k restoration that includes both 2.0 and 5.1 DTS-HD Master Audio surround soundtracks. There is one additional 4k Blu-ray release to mention (especially if you’re collecting 4k Blu-rays) and that’s Hell Or High Water starring Jeff Bridges, Chris Pine, and Ben Foster. The Ultra HD disc edition features HDR with Dolby Vision and a Dolby Atmos soundtrack backed 24-bit Dolby TrueHD 7.1 audio. Here are our top picks for the week followed by a more extensive list. 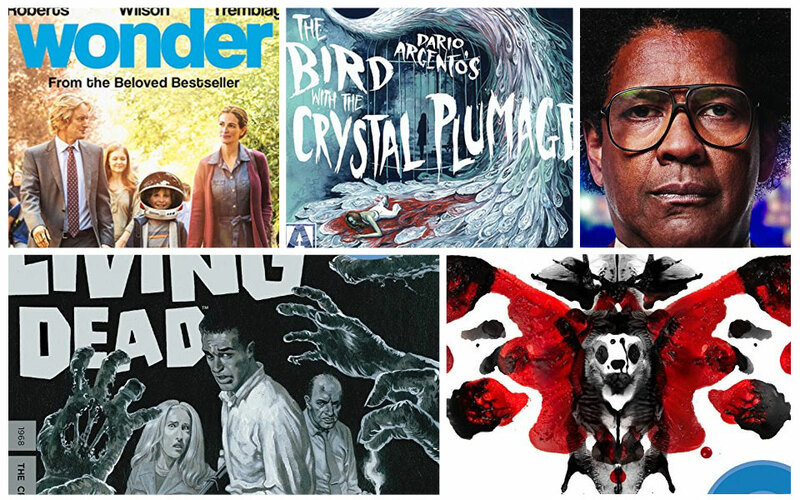 Be sure to check out last week’s new Blu-ray Disc releases.